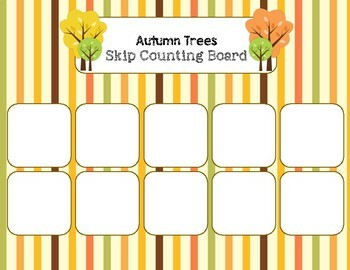 This is a fun Autumn skip counting printable. 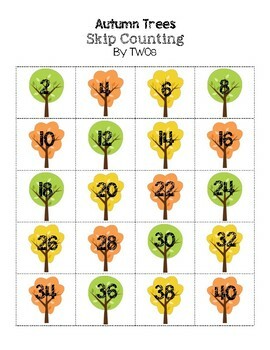 There are Autumn colored tree number cards and a beautiful Autumn skip counting mat for students to practice skip counting by TWOs. 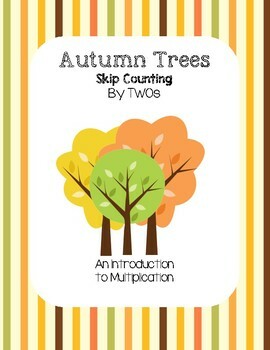 In addition, there are two skip counting worksheets (2-20 and 22-40), a cut and paste match the skip counting to multiplication equation worksheet (counting by TWOs from 2-20), and a solve the multiplication equation worksheet. 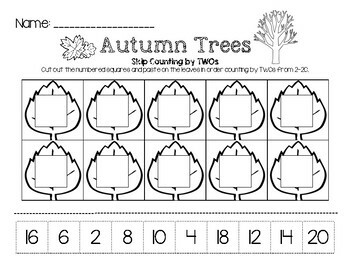 This is a great Math Center activity with a beautiful Autumn theme!